Located in the north east of the Antequera region, in a landscape primarily made up of hills and ridges which are home to olive groves and cereal fields. It dates back to the 18th century, when the buildings which began to appear around the Franciscan monastery eventually formed a village. 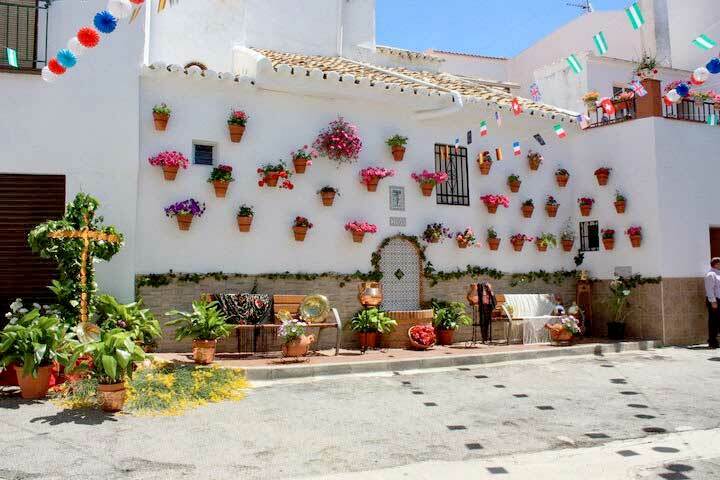 Villanueva de Algaidas was the birthplace of the famous sculptor Ortiz de Berrocal, whose works are housed in an interesting museum in the village. Also of interest are Los Alcaides Necropolis, and the caves of Sierra de Arcas and El Pedroso. However, the municipal area of Villanueva de Algaidas dates back to much earlier times, as witnessed by the prehistoric remains at Los Alcaides necropolis. The term “Algaida” seems to suggest an Arabic presence and is possibly derived from “al-gaida”, meaning “dense forest”. The village as we know it today appeared as a result of the founding of a Franciscan monastery next to Burriana Stream, now almost entirely destroyed. The original settlement was known as La Atalaya. Gradually, a number of agricultural colonies began to appear -such as La Rincona and Zamarra- which eventually combined to from a village under the name Villanueva de Algaidas.